The Premier Lacrosse Program for boys in PK-3rd Grades in DC, MD & VA! The best coaching, fun, uptempo drills and a proven training method that starts building a passion for lacrosse in your young athlete! This is the program where many of the best players the last 20+ years started. Intermediate. Boys ages 7-9 or 1st-3rd grades. Introductory or Beginner. Boys ages 5-9 or PK-3rd grades. 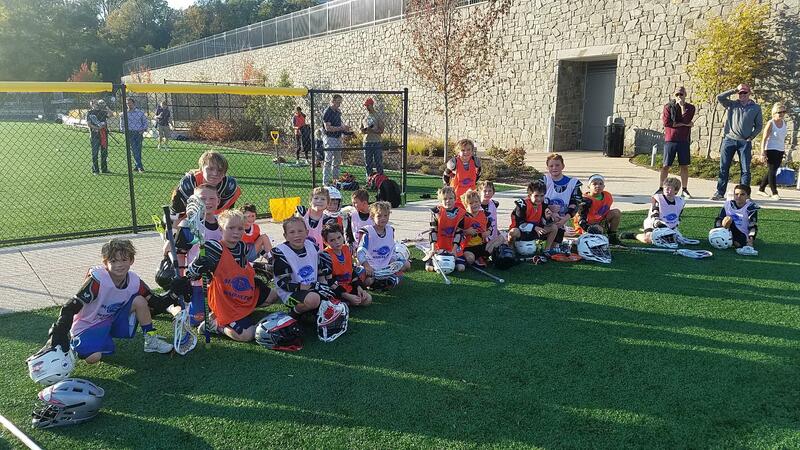 Beginner & Intermediate level CLINICS for boys in PK-3rd Grades in SPRING 2018! This Spring we offer both a Virginia Program and a Maryland/DC Program for the weekday sessions. On Saturdays, 'Game Day', we combine both groups to play games! So during the week it is your choice, whichever is more convenient, to can sign up your son. These clinics are for Boys in Kindergarten through 3rd Grades of all levels and experience. Pre-K Boys who are athletic, tough with parents who are sure they can handle it can sign up also. 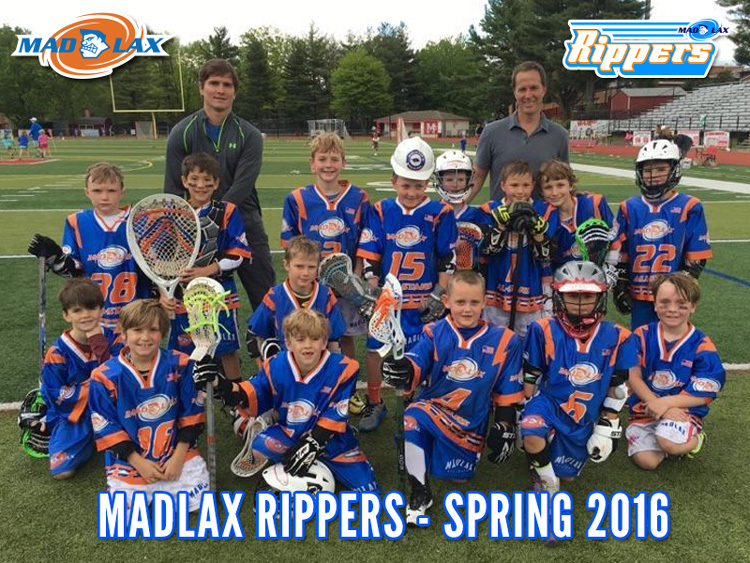 The top athletes in the Rippers clinic will be invited to play in the Rippers Spring League! Note: Experienced 1st, 2nd and 3rd grade Boys should click here to sign up for RIPPERS Spring Team in addition to the Rippers clinic. The Rippers Team adds real 8v8 games vs other opponents in addition to these sessions. For: 5-9 years old boys or PK-3rd Graders. We will group by skill and size accordingly. Experience: 0-3 seasons of experience. Beginners Welcome of course. Class Size: 20-40 Boys. We will create groups of 8-12 by size/skill. Description: This is the foundation of all clinics and where many of the best players in the greater DC area started! No one coaches this age better than Madlax in the greater DC area. This clinic teaches the fundamentals of lacrosse; scooping, catching, passing, shooting, defense in a fun atmosphere. Outstanding Madlax All-Stars coaches (who all played in college) will run drills and play games that emphasize proper technique. The boys will scrimmage live about half of each class. We want to be sure that all the campers have a memorable and positive experience with the sport so they start to build a passion for the game. Our experienced coaches will ensure safety in this clinic and be sure to match size accordingly. We will evaluate players the first day and group and place accordingly if necessary. This clinic will definitely fill up fast so be sure to register soon. For: 6-9 years old boys or 1st-3rd graders. We will group by skill and size accordingly. Top players in the clinic will be invited to play on Rippers Team! Description: This is the foundation of all clinics and where many of the best players in the greater DC area started! No one coaches this age better than Madlax in the greater DC area. This clinic teaches the fundamentals of lacrosse at an intermediate level; scooping, catching, passing, shooting, defense in an uptempo practice and game-like settings. We will always play 15-30 minutes of modified games so they can continue to develop game understanding and have fun. Outstanding Madlax All-Stars coaches (who all played in college) will run challenging drills and scrimmage "BOX" style all while emphasizing proper technique. Box style simply means 5v5's. We will also teach evens; 1v1's, 2v2's and 4v4's and unevens; 2v1's 3v2's and 4v3's at a basic level.